For years now I've been eating, cooking with and evangelising about Quorn. I first discovered it as a vegetarian, when my mom was desperately trying to find things I'd actually eat, and then as a (very) lapsed vegetarian student I lived off the stuff. From the mince and the pieces to the filets and cutlets and the slightly odd 'ready meals' I've tried them all. The nice people at Quorn sent us some vouchers to use in reviews and they got used as part of the normal weekly shop. Being engaged to and living with a veggie means that everything I cook at least starts out as vegetarian (this is why the chorizo jam is so amazing) and then I'll add any extras I need on top. With Quorn you don't really have to though - it's the protein part of the meal with non of the messy side. It also keeps longer and is much harder to give yourself food poisoning by undercooking it (especially with meaty sausages - my "it'll be fine" stance has got me in trouble before). It adsorbs flavour better than meat, it crisps up like tofu and still retains the chewiness. 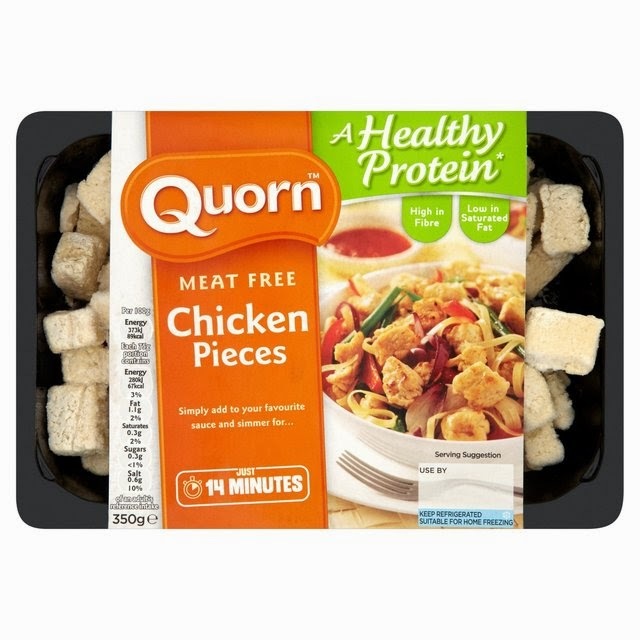 Here we see the "chicken" pieces - interestingly my partner rarely ate Quorn before she met me because the packaging is designed to appeal to people who want it to be like meat. The 'steak' style cuts still put her off! 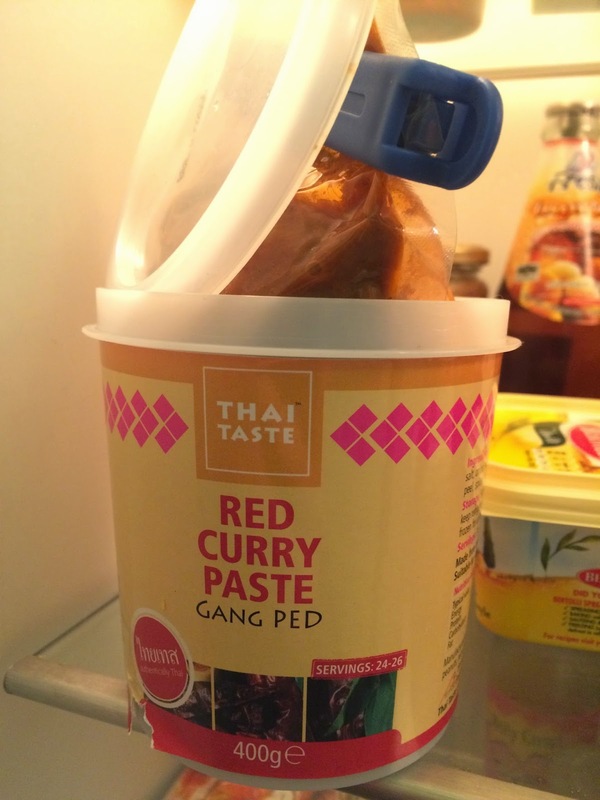 For today's actual recipe part of the review I bought a giant pot of Thai red curry paste. I'd not seen one this big in the shop before so when I spotted it online on Occado I pounced. This is 20+ servings if you carefully measure it out (I don't) and will require more coconut milk than I had in the house. Superb for restaurants or parties too. 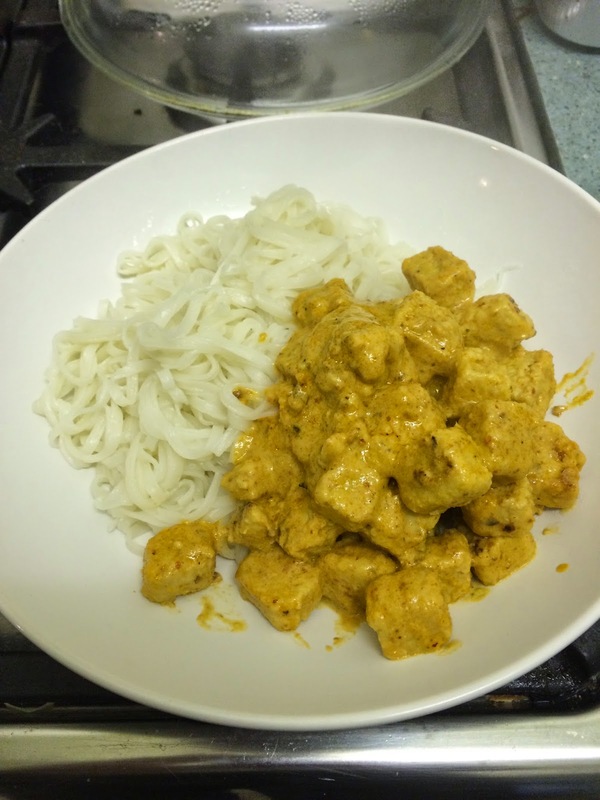 Simply fry of the quorn and then throw some red curry paste at it. Fry them both until you can smell the flavours releasing and the quorn is crispy enough for you. Then add the coconut milk to dilute the power of the paste to taste (unless you like it jungle style) and then cook until it thickens. Add Thai rice noodles and serve. As a fully paid up member of the meat-eaters club (my next review is a steak restaurant) I can honestly say that I love Quorn. If you haven't tried it then just grab a box of the mince and use it instead of meat mince next time you would use it. It's like the leanest steak mince you've ever had and holds the flavours unbelievably well.